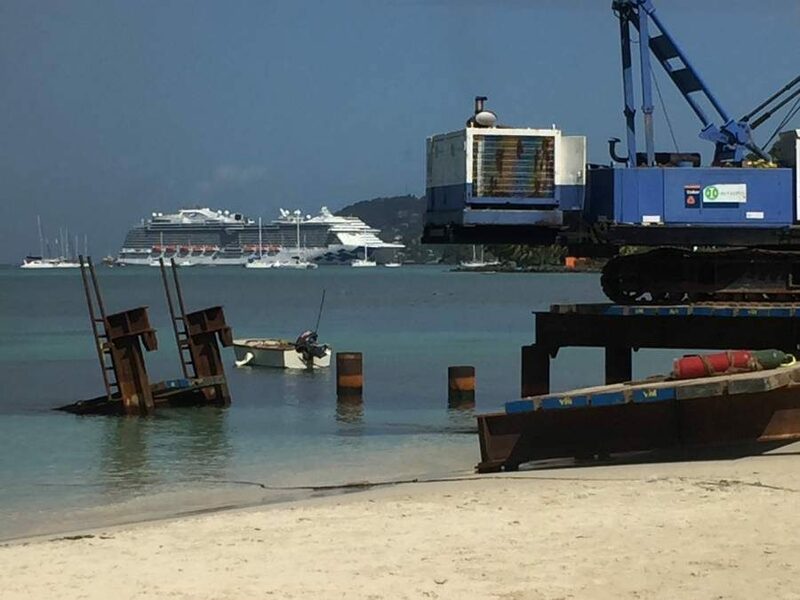 The news that the jetty on Grand Anse Beach is being moved for the 3rd time is not being taken lightly by those who have been calling for its refurbishment, including Senator Ray Roberts, Caretaker for South St George for the National Democratic Congress (NDC). 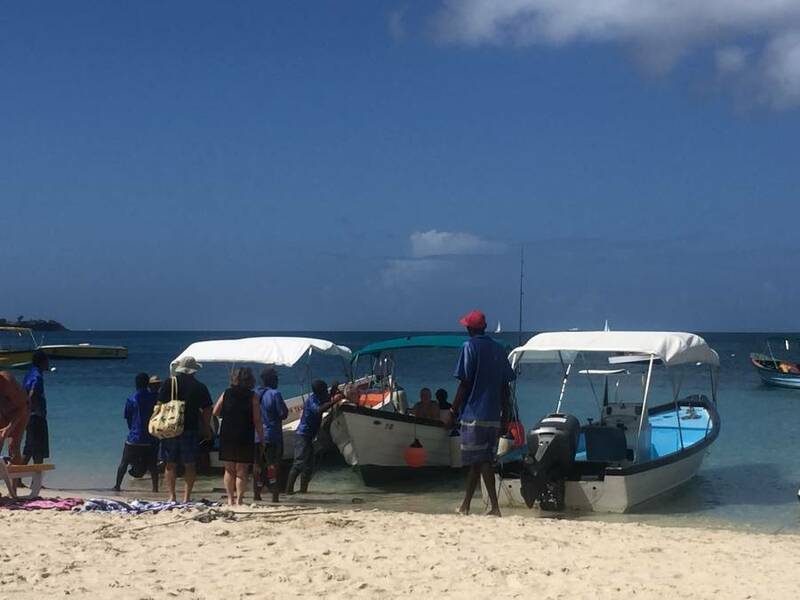 Although the boat operators and members of the Water Taxi Association are currently carrying out their duties without the use of the jetty, it is clear to see that this practice is unsafe for tourists who literally have to jump off the boats. On Thursday, 4 January 2018 Acting President of the Water Taxi Association, Eric Calliste, shared with NOW Grenada, his utmost disappointment with the decision to move the jetty again. 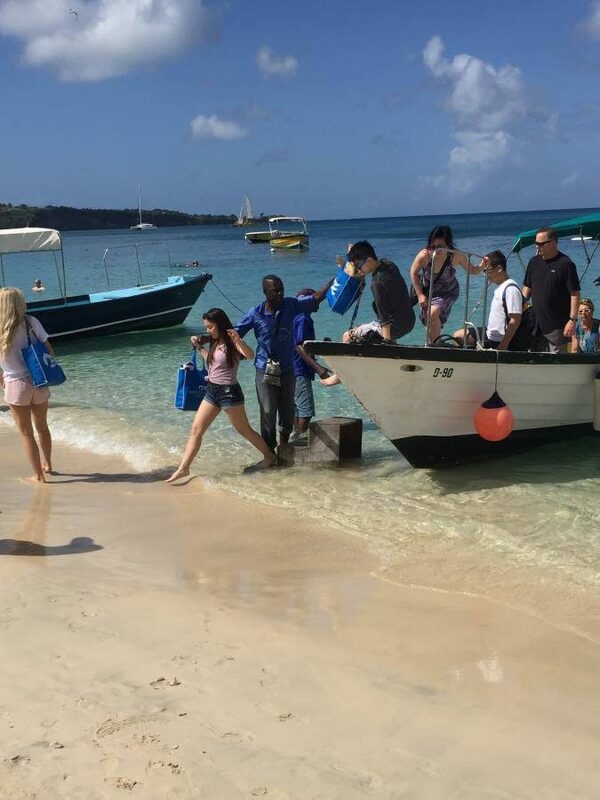 According to him, members of the association have met on numerous occasions with Minister Clarice Modeste-Curwen, and have given countless reasons why the jetty should remain at its original location. “What they’re doing there is just a no-no,” he said, and the operators would not be using the jetty if it is moved. He went on to say that the water farther down the beach, in front of the Vendors Market, is usually quite rough and it is very dangerous to drop off and pick up tourists there. Additionally, this can cause severe damage to the boats. Another member of the Water Taxi Association, who is a conductor on one of the boats, joined in expressing his feelings about the jetty being moved once again. “Right now, I don’t know what is going on,” he added. He spoke about a boat with elderly persons on board who were unable to come off the Water Taxi, because some have hip or back problems. At times the operators go as far as to lift persons off the boats. This, he added, is resulting in financial losses for the Water Taxi operators. One female operator indicated that she has been in the business for approximately 13 years, and the jetty has always been in the ideal position. According to her, the water lower down by the Vendors Market is way too rough and dangerous for them to operate there, and she sees it fit to keep the jetty in its original place — for safety purposes. When hotels come on beachfront properties, he understands that ‘locals secede, and it becomes a sort of exclusive property,’ and this he said frightens him, especially since this is being done in the name of economic development. He also mentioned the much debated Camerhogne Park issue, which he believes is part of Grenadians’ culture. Sorry guys but i am afraid that soon your trade / business will be history because Mrs C M C ( know who is feeding you) and her green party have a bigger agenda to fulfill and god help us they were to get back into power this important Sea Taxi services will be history and who knows maybe the owners of silver sands knows something about what’s going on seeing that they are now controlling business in South St.George. Wake up Grenadians Grenada is being taken from us while we are asleep and looking at the money.